Who Will Win The Match Today of KKR vs DC 26th Match Indian Premier League 2019? Do Delhi Capitals have any game plan for Andre Russell? Kolkata Knight Riders are all set to take on Delhi Capitals on Friday, April 12, 2019, at Eden Gardens, Kolkata. If you are on Crix11 then you must be looking for KKR vs DC Dream11 Fantasy Cricket Match Prediction of 25th Match. If you are looking for pitch report of Eden Gardens, Kolkata, weather report of Kolkata, predicted playing 11, players recent and past performance, players injury updates, DC vs KKR latest news, the best choice for captain and vice-captain, Dream 11 free grand league team then you are at the right place. We have covered all the above information in details. Along with the above details we have also covered who will win today? 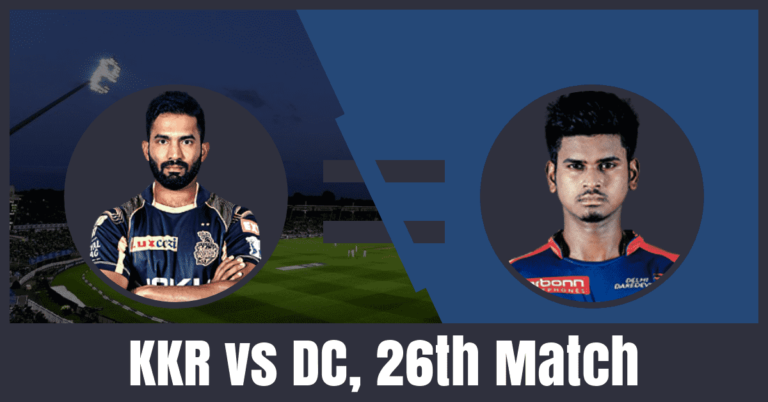 toss prediction, Kolkata Knight Riders vs Delhi Capitals full squad and astrology prediction. All the information, data and statistics are very accurate and taken from very reliable sources. Make sure to read the complete post if you want to increase your winning chance to 100% in the fantasy cricket league. 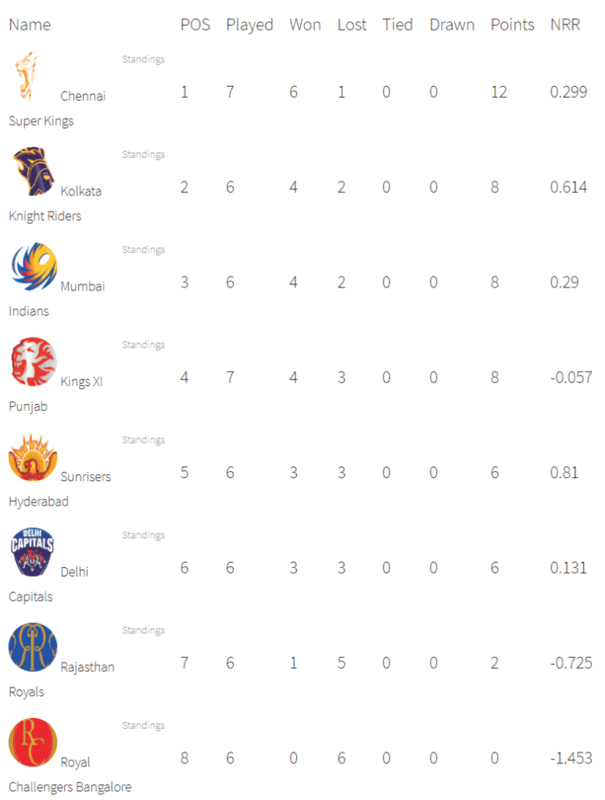 Kolkata Knight Riders are in the second position of the points table with eight points in their pocket. They have played 6 matches, won 4 and lost 2 matches. Knight Riders have lost their last match against CSK by 7 wickets. Prior to that, they have won against RR by eight wickets and won against RCB by 5 wickets. Andre Russell, Robin Uthappa, Nitish Rana and Chris Lynn are the top scorers of Knight Riders team. They have scored 257, 183, 169 and 130 runs. Andre Russell, Piyush Chawla, Sunil Narine and Kuldeep Yadav are the top wicket-takers. They have taken 5, 4, 3 and 3 wickets. On the other hand, Delhi Capitals have played 6 games, won 3 and lost 3 games. They are in the sixth position of the points table with six points in their pocket. They have won their last match against RCB by 4 wickets. Prior to that, they have lost against SRH by 5 wickets and lost against KXIP by 14 runs. Shreyas Iyer, Rishabh Pant, Prithvi Shaw, Shikhar Dhawan and Colin Ingram are the top scorers of Delhi team. They have scored 215, 176, 169, 152 and 124 runs. Kagiso Rabada, Chris Morris and Sandeep Lamichhane are the top wicket-takers. They have taken 11, 6 and 5 wickets. Shreyas Iyer, Prithvi Shaw, Shikhar Dhawan, Rishabh Pant, Chris Morris, Colin Ingram and Kagiso Rabada are the key players of Delhi Capitals Team. Harshal Patel has been ruled out because of injury. If the pitch favours the seamers then Trent Boult may replace Sandeep Lamichhane or else they will play with the same playing 11. Shreyas Iyer, Prithvi Shaw and Shikhar Dhawan will lead the batting department. Rahul Tewatia, Chris Morris and Axar Patel will play as a key all-rounder. Shreyas Iyer and Kagiso Rabada are the most valuable players of Delhi Capitals team. Batsmen: Prithvi Shaw, Shreyas Iyer, Colin Ingram, Shikhar Dhawan. All-rounders: Chris Morris, Rahul Tewatia, Axar Patel. Bowlers: Kagiso Rabada, Sandeep Lamichhane/Trent Boult, Ishant Sharma/Amit Mishra. Shreyas Iyer(c), Prithvi Shaw, Sandeep Lamichhane, Shikhar Dhawan, Ankush Bains, Bandaru Ayyappa, Colin Ingram, Harshal Patel, Rishabh Pant(w), Ishant Sharma, Chris Morris, Hanuma Vihari, Axar Patel, Trent Boult, Rahul Tewatia, Sherfane Rutherford, Kagiso Rabada, Jalaj Saxena, Colin Munro, Amit Mishra, Nathu Singh, Manjot Kalra, Avesh Khan, Keemo Paul. Chris Lynn, Andre Russell, Sunil Narine, Robin Uthappa, Nitish Rana, Kuldeep Yadav and Prasidh Krishna are the key players of Kolkata Knight Riders Team. Knight Riders may play with the same playing XI. Sunil Narine and Andre Russell will play as a key all-rounder. Kuldeep Yadav, Harry Gurney and Prasidh Krishna will lead the bowling department. Andre Russell and Sunil Narine are the most valuable players of KKR team. Batsmen: Nitish Rana, Chris Lynn, Robin Uthappa, Shubman Gill. Bowlers: Harry Gurney, Piyush Chawla, Prasidh Krishna, Kuldeep Yadav. Robin Uthappa, Chris Lynn, Harry Gurney, Lockie Ferguson, Sunil Narine, Shrikant Mundhe, Nitish Rana, Joe Denly, Dinesh Karthik(w/c), Sandeep Warrier, Shubman Gill, KC Cariappa, Andre Russell, Prasidh Krishna, Piyush Chawla, Carlos Brathwaite, Kuldeep Yadav, Yarra Prithviraj, Rinku Singh, Matthew Kelly, Nikhil Naik. The pitch of Eden Gardens, Kolkata is good for batting as it has good pace and bounce. The batsmen can play shots trusting the bounce. The fast bowlers will also get some benefit from the wicket especially in the initial overs. Scattered T-Storms is predicted in the morning and afternoon. The sky will be clear at the time of the match. The temperature is expected to be 21-Degree Celsius and the humidity to be 81%. Rishabh Pant: 176 runs in 6 matches. Robin Uthappa: 183 runs in 6 matches. Nitish Rana: 169 runs in 6 matches. Prithvi Shaw: 169 runs in 6 games. Shreyas Iyer: 215 runs in 6 games. Shikhar Dhawan: 152 runs in six games. Andre Russell: 257 runs and 5 wickets in six matches. Sunil Narine: 87 runs and 3 wickets in six matches. The last time when Kolkata Knight Riders have played against Delhi Capitals. DC has beaten KKR in a super over. If we look at the statistics of the last five matches, KKR has won three matches and DC has won two games. according to crix11 astrology cricket match prediction, KKr will win today. According to crix11 astrology match prediction, KKR will win the toss and opt to bowl first. You may like to all IPL Prediction.